One-third of the U.S. population has varicose veins of some kind, including spider veins - thin, wispy veins that are usually most visible across the legs and feet. And if your parents have them, you have a 90% chance of developing them too. 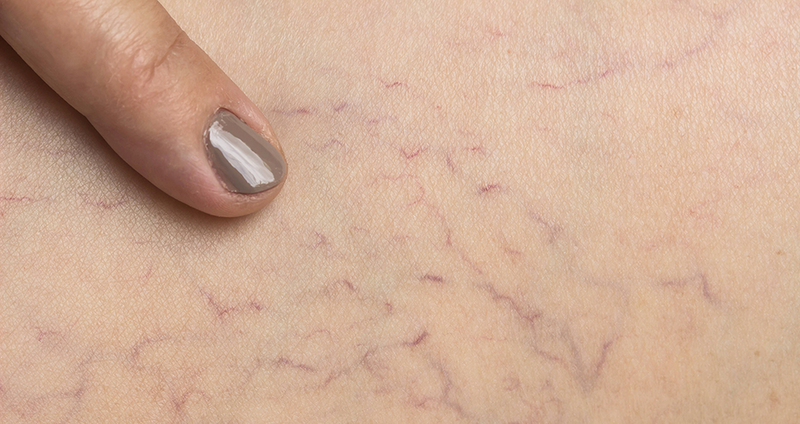 If you spot spider veins on your body, it’s important to take action and notify a doctor. Although spider veins are often purely cosmetic, they can be a symptom of something much deeper. Do you have varicose veins? If so, you should know that 50% of varicose vein patients have a family history of developing them, and you have a 90% chance of developing them if both of your parents have them. 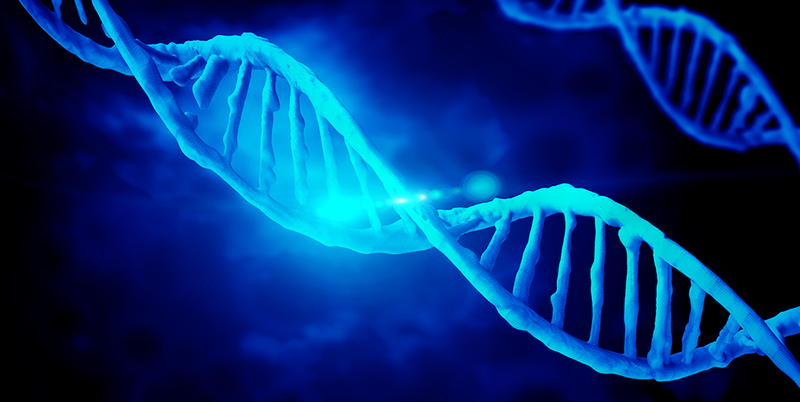 This is an example of the strong link between genetics and vein health. Sorry to break the bad news, but genetics play a big part in your likelihood of having vein disease. However, having a family history doesn’t mean you’re facing a lost cause. All jobs have an impact on our bodies. Even the most sedentary jobs leave us feeling at least a little bit tired at the end of the day, but jobs where you are on your feet most of the day seem to take an additional toll on your body. By the end of a long day of standing, you probably feel aches and pains from your feet all the way up your spine, and you know the sense of relief of sitting down and kicking back at the end of the day. Did you know that 1 in 3 Americans over age 45 has some type of vein disease? Many people don’t even realize they have it or don’t realize the seriousness of its early symptoms. Vein disease, also known as venous disease, often goes even deeper than what we see on the surface; it doesn’t stop with symptoms like skin changes, ulcers, spider veins, and varicose veins. Venous diseases deal with blood flow inefficiencies and are life-threatening. It’s fairly common knowledge that smoking, poor diet, and inactivity can lead to the development of varicose veins. However, many people don’t know that alcohol use can also have major effects on existing varicose veins as well. 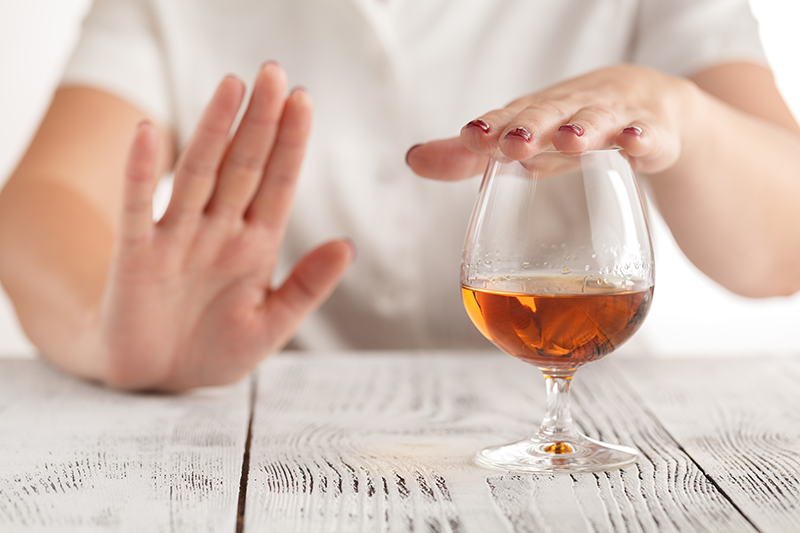 Drinking, especially excessive drinking, affects every major organ in the body, and the circulatory system is no exception to this, particularly when the circulatory system has already been compromised by a vein disease. Vein diseases of any kind can be very scary. After all, the circulatory system runs constantly and requires unhindered operation to run smoothly! Deep vein thrombosis may be the most serious type of vein disease; it can significantly disrupt the basic functions of the circulatory system, sometimes resulting in a life-threatening pulmonary embolism and even death. Since it is so serious, it’s understandable to have lots of questions about deep vein thrombosis, also known as DVT. 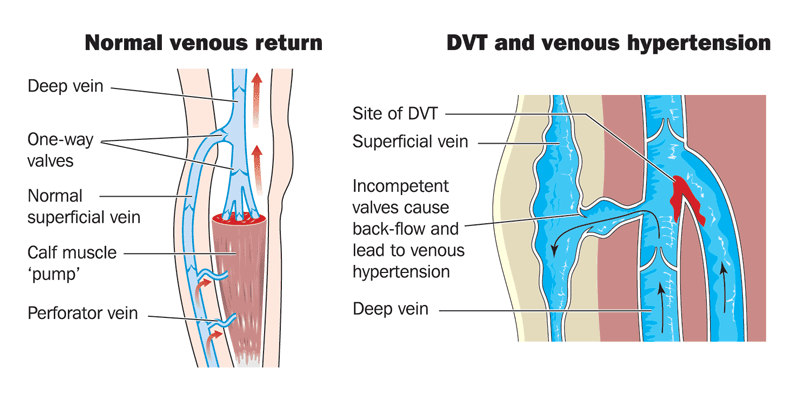 Here’s what you need to know about DVT and how it should be treated. Vein disease is a common occurrence. It is relatively easy to treat and, when managed with careful treatment, it is usually not a life-threatening condition. 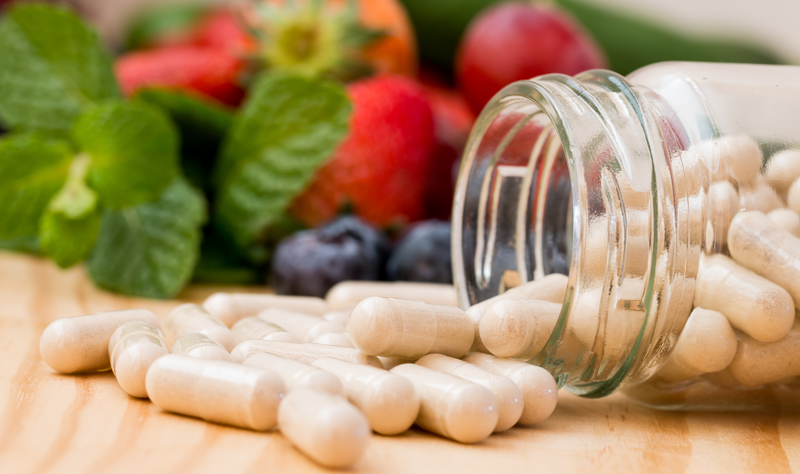 With proper treatment, your quality of life can easily be restored. Without proper medical care however, vein diseases can become life-threatening, which is why treatment is so important. Venous diseases show up in two ways: clotting and blockages (thrombosis) and improper blood return (insufficiency). In a normal circulatory system, veins bring oxygen-depleted blood back to the lungs for reoxygenation. When vein diseases occur, it becomes more challenging to get oxygen back into the blood system as a whole. Vein diseases must be recognized and treated in a timely manner to prevent deeper issues from developing. Here are the types of vein diseases and the warning signs for each. Those varicose veins in your legs are not only unattractive, they can be an indicator of a more serious health issue. And if you have swelling around protruding leg veins, you need to see a physician.